The recruitment of young experts with fresh knowledge is an important aspect in our company's operation, hence we are actively engaged in the work of vocational institutions, we deliver presentations and lectures, attend international conferences, and run training courses. We always work hard to establish correct, long-term and profitable business relations with our clients and business partners. We are always ready to receive and take on challenging assignments that require creative solutions. The founders represent two different generations. Donát Borsódi is an experienced IT specialist whose experience, knowledge and expertise has been recognised by the profession in a lifetime achievement award. Dr. Krisztián Balog has already achieved a successful and recognised research career despite his youthful age. GreyMatter is an upshot of their cooperation. The company's primary activities include classic web development, and the delivery of intelligent and robust solutions based on modern text and data mining tools. In addition to being the managing director of GreyMatter, Donát Borsódi has also been the manager of Profi-Média Ltd. since 1994. 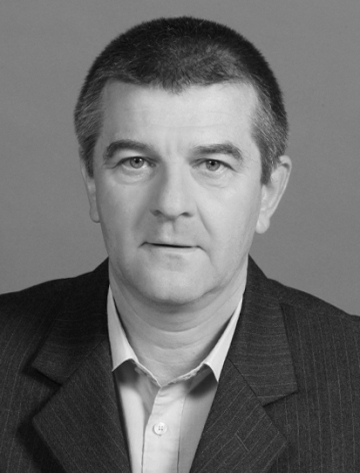 He graduated in 1981 as a program designer mathematician from the József Attila University of Szeged. Before founding Profi-Média, he had worked as a programmer. Profi-Média develops multimedia language and children training and educational software applications. In 2005, he was awarded the prestigious lifetime achievement award for the creation of the educational Manó CD series. Starting in the middle of the 2000s, he has since cooperated in a number of national and international projects. Between 2004 and 2006, he made a valuable contribution to the digitisation of the Mathematics and Physics Periodical for Secondary Schools. The Helsinki Award-winning PEDITOP eLearning Programme's technical support was provided by Profi-Média Kft. Since 2007, being the managing director of GreyMatter, Donát has been refocusing his attention on eCommerce and internet marketing in particular.